These Royal Red Acrylic Nails are fully blinged-out and include everything you need to mix and match your look. 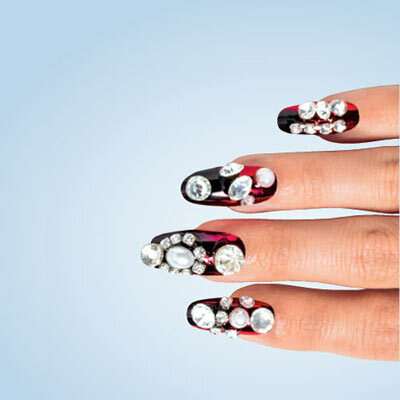 Includes 24 pearlescent red nails and 8 sparkly accent nails in assorted sizes for the perfect fit. Glue included for easy application. Hurry! Quantities are limited!